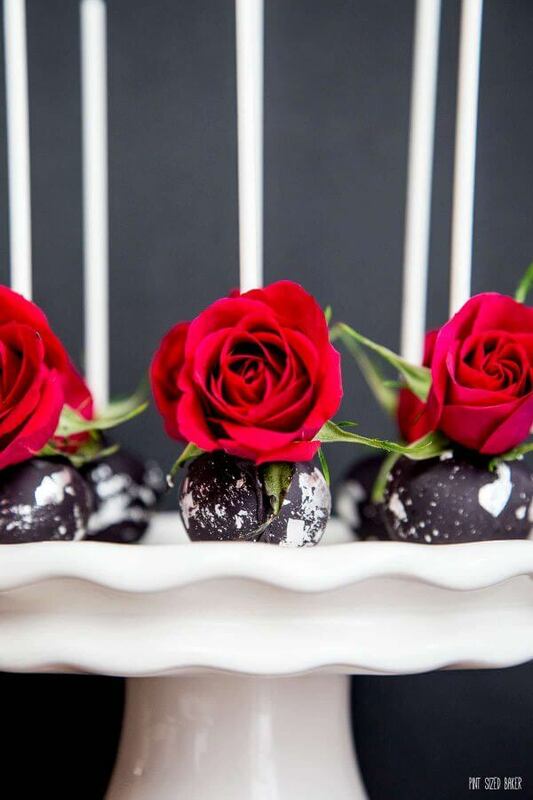 With Wedding Season in full swing, you’ll love these easy and beautiful Real Rose Cake Pops that will blow your guests away! I know that cake pops seem to be a difficult task for most, but honestly, they are really easy to make and can be absolutely stunning even with a simple concept. 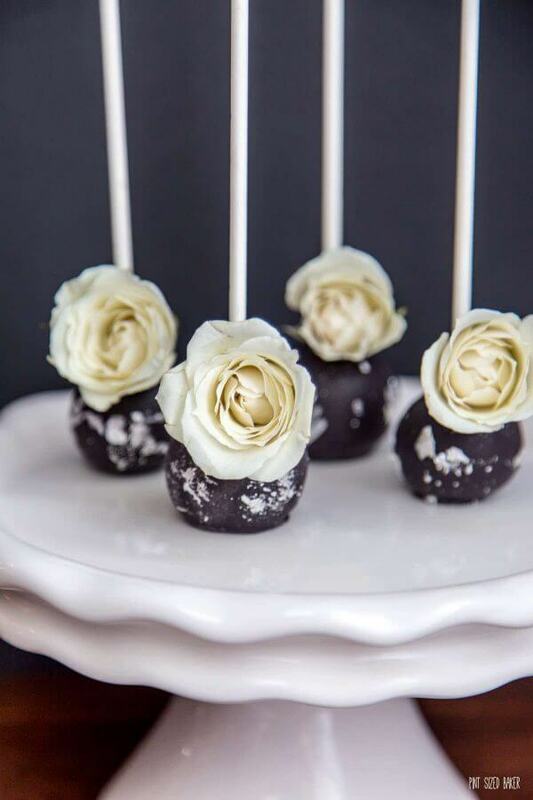 I love the addition of the fresh spray roses to the cake pops. You can add any color of roses to them so that they match your wedding theme. You can add baby breath, or even small mums and other smaller flowers. 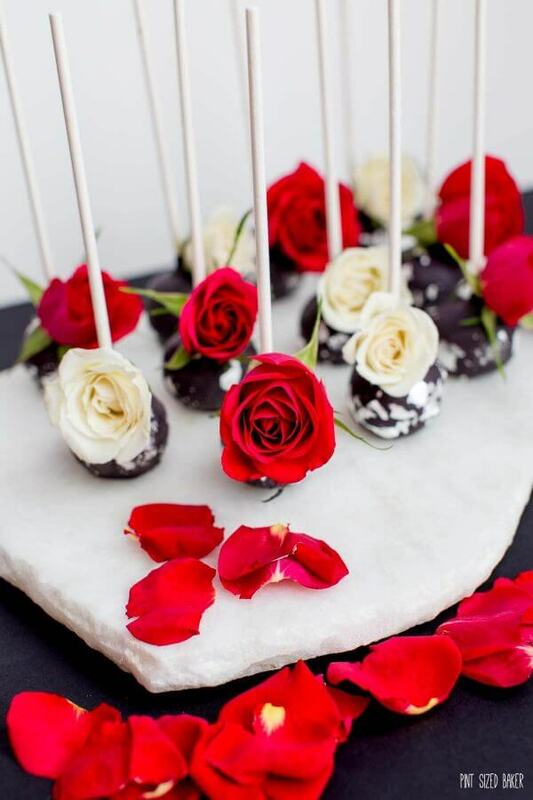 You do want to keep the flowers as fresh as possible for as long as possible, so be sure to make your cake pops ahead of time and add the flowers the DAY OF the big event. 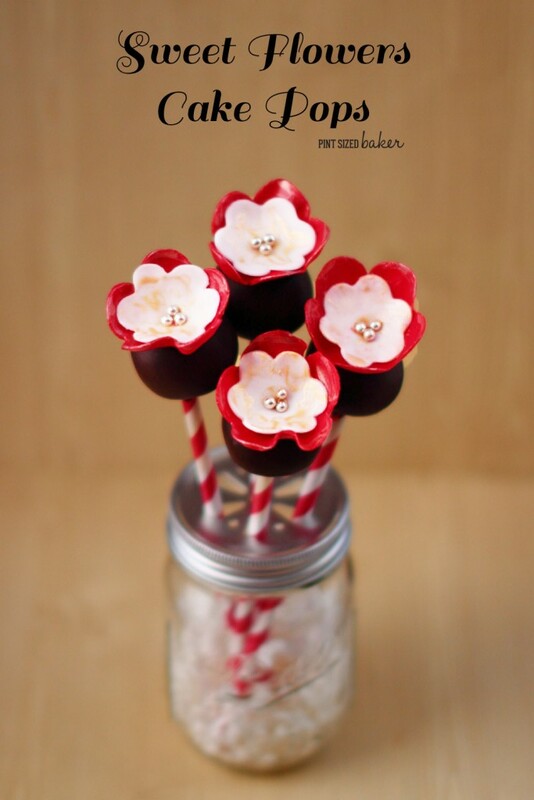 You may also want to check the internet for edible flowers to add to your cake pops. I know that nobody is actually going to eat the rose, my point is that the rose doesn’t have anything toxic that oozes out of the cut stem. That’s just gross. To complete this look, you’ll need to order some Silver Leaf Transfers. Working with silver leaf can be a bit tricky if you’ve never used it before. First, you need to use tweezers to handle it if you want it in a precise location. I also took to rubbing it on the cake pop. The candy coating may need a little water moisture to make it “sticky” for the silver leaf to stick to. Just brush on and wipe off a very, very small amount of water and then attach the silver. 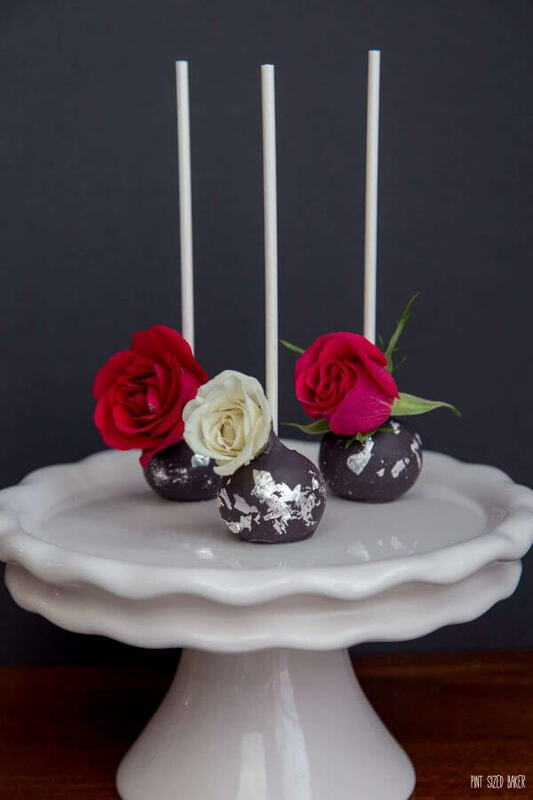 If you are making these real rose cake pops for a wedding, you can arrange with your local florist well in advance to get your roses that will match your theme. They can get the small, spray roses special ordered just for you and the person making your cake pops. These would be so pretty put around a wedding cake with matching full sized roses and flowers. I just love how pretty these turned out. The striking red and white against the black candy and silver flecks! WOW! The truly are simply stunning! Start with your favorite cake mix baked in a 9x13 pan. Cool it completely and crumble into a mixing bowl fitted with a paddle attachment. Add 1 tablespoon of frosting at a time while mixing the cake crumbles. Add as much frosting that is needed to make the crumbles form a ball. Use a 1 tablespoon cookie scoop to measure out 40 cake balls. Roll the cake balls smooth and place them on a cookie sheet lined with wax paper. Melt your candy melts in a ceramic mug for 1 minute in the microwave. Stir it and then melt at 70% power for 45 seconds. Dip the tip of a lollipop stick into the melted candy and insert it into the cake ball. Complete all of them. You may have to reheat the melts. Just reheat at 70% power for 30 seconds and stir. 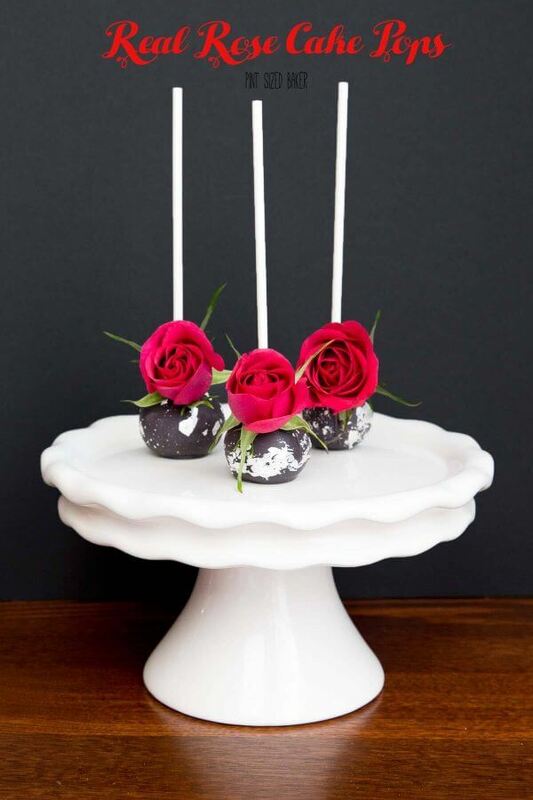 Dip the cake ball into the candy melts and stand them up like a candy apple to dry. Complete all the cake pops. Rub the silver leaf on. You may need to brush on a bit of water to make the silver leaf stick. 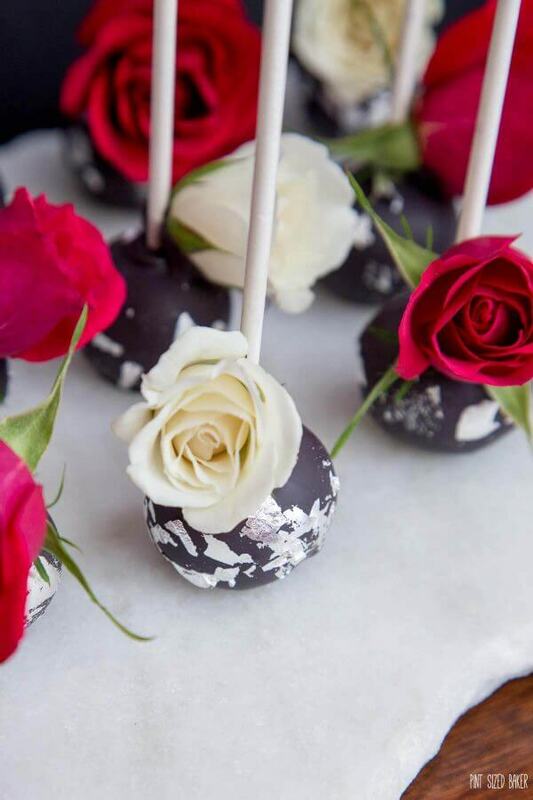 When all the cake pops are dipped and have the silver leaf added, you can wrap them in a plastic bag or put them into a container and store them in the fridge. When you're ready for your big day, bring the cake pops to room temperature inside the containers to prevent condensation on the cake pops. 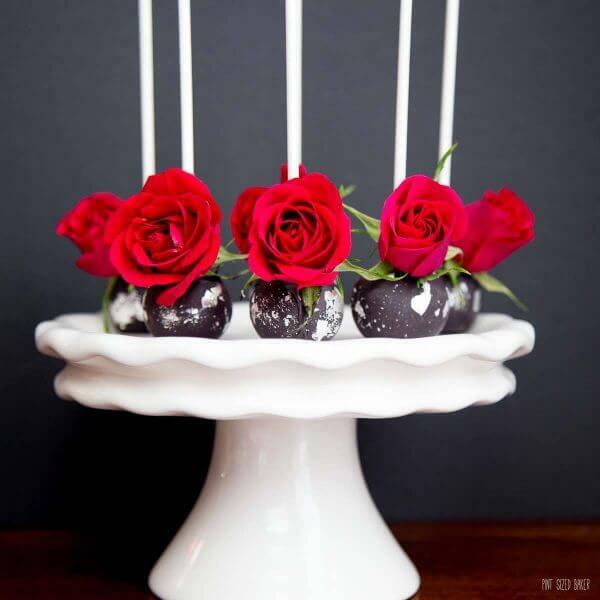 Cut the roses back to the bulb and dip the end into some melted black candy. Place it on the cake pop and hold it until it's dry. Place out for the guests to enjoy. 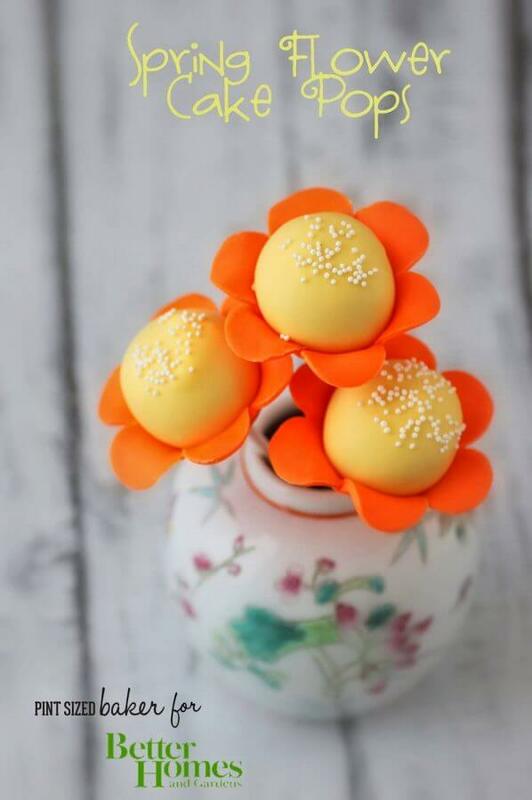 For more fun Flower Cake Pops, check out these that I’ve made.